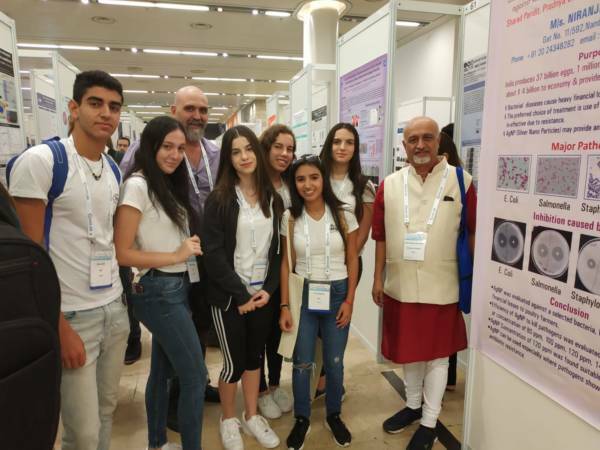 Organizers of the international nanotechnology conference NANO.IL.2018, held annually in the Jerusalem Convention Center, invited graduates of the nanotechnology class at Sci-Tech Naomi Shemer High School, Gan-Yavne, to attend the conference and represent the Israel Sci-Tech Network. 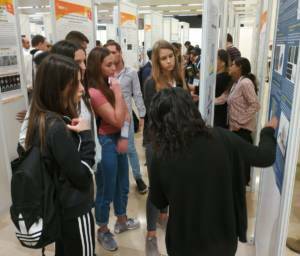 The conference, attended by some 800 people this year, is a unique and important meeting point between academics, researchers, entrepreneurs, and government officials, all involved in the field of nanotechnology. It showcases innovative technologies and solutions presented by leading academics and researchers, representatives of local and global hi-tech and startup companies, entrepreneurs, universities, as well as officials representing various governments worldwide. “I went with a group of high school students majoring in Health Sciences (all graduates of junior high nanotechnology class), by courtesy of the Israel Sci-Tech Network, to the International Nanotechnology Conference which was held in the Jerusalem Convention Center. There we were lucky enough to get a taste of the major league. It was a fascinating experience. We learned a lot about the technology and science behind nanotechnology. We caught some fascinating lectures about futuristic innovation in the medical world. We had a rare chance to feel part of a bigger, wider world, a world that has lots to offer, and to try and figure out where we may want to see ourselves in the future. Besides that, we bonded together as a group, around our shared interest. We laughed, we smiled, we socialized, we learned, we enriched our knowledge, and we had an amazing, once-in-a-lifetime experience. The Nanotechnology Project is incorporated in the Science & Technology Curriculum as early as junior high school. 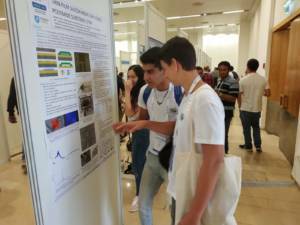 This programme was developed in the Israel Sci-Tech Network’s R&D Center, based on a previous collaborative project with the European Union. This programme aims to expose the students to an innovative topic while acquainting them with necessary scientific knowledge and possible applications, as well as social and environmental implications.